A man shouts, ‘Terrorist,’ having been carjacked by an assailant wearing a scarf around his face; another slams his frame against the side of a van to shield himself at the sight of a large rifle. An Ottawa Policeman shouts at journalists, telling them to move quickly if they didn’t want to die. The victim, Corporal Nathan Cirillo dies at his post at the Canadian National War Memorial, his family is condoled soon after, relatives of a fallen hero. The assailant rushes through a non-public entrance of Centre Block, Parliament. Shockingly, there are no metal detectors present. I see the news footage, and recognize the buses, the streets, and Parliament Hill, a place I have been many times both as a tourist and in professional life. I recall meeting Prime Minister Stephen Harper at the Hill some years back at Parliament’s celebration of Diwali. I have dramatically different feelings on Diwali, tonight, as fireworks light up the Calcutta sky, which overlooks the noisy metropolis where I am located. My thoughts are in Ottawa, a place where my parents and I arrived from the UK when I was five, where I have lived all my life, since, save for a few years in Montreal, Toronto, the USA and more recently, Calcutta. It was where I took my oath as a Canadian Citizen at age eighteen. It is a place, which, throughout been a geographic center of gravity, regardless of my travels, having been pulled to return by family who reside there as well as friends. It is where saw my first movie, was blanketed by a maiden snowfall, won my first tennis match, was beset by puppy love, and wrote my first story. In short, I grew up there, a place where the national police where funny hats and red uniforms, and people say ‘please’ and ‘thank-you’. It is a place where most are blissfully innocent, insulated from violence. But, Canada too has grown up, matured in seconds by guns fired metres away from where the government and official opposition party meet to caucus. The newspapers write that things will never be the same. In part I can understand it. The notion that Parliament would be attacked is not something that was considered probable, and far from the minds of Canadians. Someone might joke, ‘as long as they take the Senate out first,’ when confronted with the question of terrorism on the Hill. But, Canada should have changed long ago. To this day, the worst act of terrorism perpetrated against Canadians was the bombing of Air India Flight 182, which took place on June 23rd, 1985, perpetrated by Sikh terrorists based in Canada during the height of India’s Khalistan crisis. In all, 329 people were killed, 268 of them, Canadian and 24 Indian. As this was inaccurately characterized as ‘ancient hatreds’ finding fuel in a new land, Canada’s security apparatus did not change, as a result. Much has been made of the inappropriate nature of then Prime Minister Brian Mulroney’s letter of condolence to his counterpart in India Rajiv Gandhi, offering condolences for the deaths when the vast majority killed had Canadian passports. With brown faces, the victims were not viewed as ‘real Canadians’. Decades later, in 2009 when I watched the public inquiry into the Air India bombing on Canadian Public Access TV in Ottawa, I was struck by the dismissive speech of government lawyers, still trying to cover for Mulroney’s mistake instead of admitting to the presence of institutionalized racism, and the need for reform in Public Security. They are words I remember, today. The next most heinous act of terrorism occurred in Montreal on December 6, 1989, while classes were in session at the École Polytechnique at the University of Montreal, located on the north slope of Mont Royal, the largest engineering school in Canada. Marc Lepine a disgruntled and failed would-be engineer armed with a Ruger Mini-14 semi-automatic rifle, entered a classroom of sixty students, separating the ten females from the males. He ordered the males out, and proceeded to unleash twenty rounds of ammunition on the unsuspecting females. His rampage did not end in the classroom. Before being killed, himself, he had murdered fourteen women, most of them engineering students working to get in the front door of a male dominated profession. I cannot recall this massive hate-crime to be called an act of terrorism. And, few said, things would never be the same even though for some, like intellectual and writer, Naomi Klein, it gave clarity and drive to her life’s ambitions. They are in the minority. For most, nothing changed. After all, the victims were only women. But, in the last few days, two white males have been murdered by men who have been characterized as ‘home grown Islamic terrorists.’ One surely is. The other might just as well been a disaffected lunatic but facts are still coming in. The rush to judgment, though, is heart quickening. I stream a video on my laptop in which I hear a voice I recognize, that of an old friend and TV journalist, who is asking witnesses leading questions, ‘Did the man look Arab,’ he asks an old man who saw the assailants face. On another report, this one on MSNBC, the reporter draws a connection between the day’s event and the fact that recently awarded Nobel Peace Laureate, Malala Yousafzai was to be awarded Canadian Citizenship in a ceremony led by Stephen Harper – one which he cancelled, by the way. Hey, I guess terrorism worked, then, if the aim was to stop Malala. The MSNBC reporter’s guest is a former covert operative from the CIA, and wants to be cautious about drawing conclusions but in the end is dragged into making a connection between Canada’s participation in aerial strikes against ISIL in Iraq and the recent crimes. I hear Mr. Harper call the assailants terrorists, and say that ‘this week is grim reminder that Canada is not immune to the types of terrorist attacks that we have seen elsewhere around the world.’ I think to myself, ‘or the types of terrorist attacks aimed at our citizens at home and in the skies in our not-so-distant past’. Mr. Harper mentioned that attacks on Canadian soldiers and security personnel are attacks on the nation, on its values and on every Canadian. It is unfortunate that this notion was not applied to attacks against our civilian citizenry in the past. Indeed, Parliament Hill might have been better guarded had such attacks been taken more seriously. The alleged killer has been identified as 32-year-old petty criminal Michael Zehaf-Bibeau. Canadian police conceded that Zehaf-Bibeau was the lone gunman, the second attack in three days in what the prime minister described as terrorism. How he got through security is still under investigation. I can shorten this for the authorities – there was no security to speak of nor has there been as long as I can remember. The first attack, this week, took place on Monday when a 25 year old Islamic convert named Martin Couture Rouleau (who went by Ahmad Leconverti, Ahmad the converted) rammed two Canadian Forces members near Montreal with a Nissan Altima car before being shot dead by police. He was known to counter-terrorism authorities who believed he had become radicalized, the RCMP said. One of the victims, Warrant Officer Patrice Vincent, died of his injuries on Monday evening, while the other survived with minor injuries. Rouleau was known by RCMP to be radicalized, and was one of 90 Canadian Citizens being ‘watched’ by RCMP (apparently, not close enough). His Facebook page, which has been taken down, was full of propaganda videos and other materials admiring jihad — or “holy war” against enemies of Islam, according to Radio-Canada. In several of his posts, he had made inflammatory comments supporting the Islamic State in Iraq and Syria. In some of his posts, Ahmad Le Converti even boasted of how he, along with the Islamic State, will “create a perfect world” and hence to achieve all that the beheading and killing of ‘infidels’ was a necessary evil. While it is clear that Rouleau was ‘inspired by ISIL,’ as Prime Minister Harper pointed out in his address to the nation, yesterday, it is not clear that Bibeau acted on similar impulses. It was first reported that Bibeau’s father, who is of Libyan descent went to fight there but this has been found to be false but not surprising as the media seized upon the notion that coordinated attacks ensued following a general call by ISIS to target Canadians. It did nothing to ease the sense of panic that was setting in. But, the media these days is seldom cautious in its approach to reportage. Like Rouleau, Bibeau was born in Canada and raised in Quebec and a recent convert to Islam. 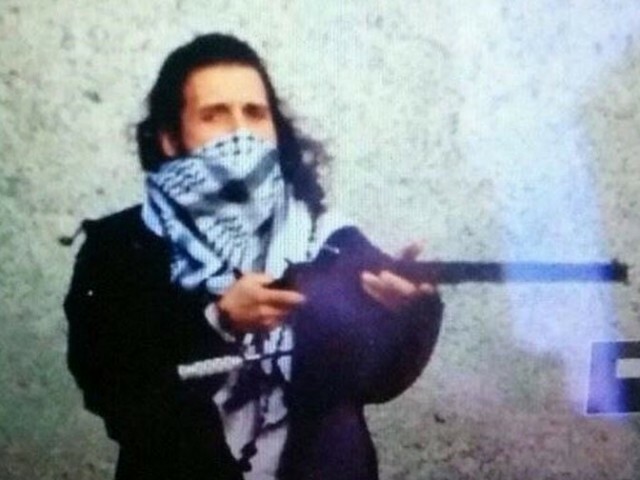 Canadian-born Zehaf Bibeau, who was raised in Quebec, had a criminal record with records appearing under three different names: Michael Bibeau, Michael Zehaf Bibeau and Michael Bibeau Zehaf. Court records show that Zehaf Bibeau was also charged with robbery in Vancouver in 2011. He was convicted on a lesser charge of uttering threats, and underwent a psychiatric assessment then, being deemed fit to stand trial. She went on to say that she did not want to be part of the ‘media circus,’ and asked that the privacy of both her and her husband be respected – and yet she is so plainly in the centre of it. In the meantime, the RCMP will have to fill in the blanks. So far no link has been found between Bibeau and Rouleau or their crimes, except that they have killed Canadian soldiers around one month after ISIS called upon the faithful to do just that. By now, I think to myself, were this to take place in the USA, politicians led by Barack Obama would be reciting that similar bogus refrain, ‘Islam is a religion of peace.’ But this is ‘straight talkin’ Canada, and the commentators correctly point out that Islam is whatever the Mullahs and faithful decide it to be, interpreting scripture, accordingly. Liberal leader, Justin Trudeau comes out ahead of the pack, appealing to Canadian Muslims to root out radicalism and vie for a peaceful co-existence in a pluralistic multicultural society. For a moment, I think, he is his father’s son, having the courage of his convictions – a man who advocated reason over passion. The editorial in the Ottawa Citizen, today, says this is a battle within and for Islam. If this is true, let us hope the voices of reason win out. I was in Ottawa when the September 11th attacks took place, and saw an outpouring of rage and grief, experiencing such feelings myself. I had worked in the World Trade Centre towers, which I saw come crumbling to the ground. At the time, my friends in Toronto called to tell me that tall buildings were being evacuated. I received a list of names from a colleague of missing persons who worked at my former employer. They were names I recognized, people with whom I had worked (in fact, had I not changed jobs, I might have been in those towers) and the crisis had hit home. I absented myself, as a result, from an important team meeting at my new job in Ottawa, to go to the memorial service on Parliament Hill presided over by the US Ambassador. I felt a similar sense of connectedness when The American International Centre was attacked in Calcutta, knowing that the area was where my parents and I did our banking. There was a similar sense among Calcuttans that such a thing was easily a risk in Delhi or Mumbai but not here. That sense was lost that day, and this loss was burnished by the busting of a plot by Islamic terrorists to bomb NSCB Airport, some two weeks ago. Fewer and fewer of us are left insulated to men with guns and mission, however misguided it may seem. For Canadians, though, it should not come as a surprise. The nation has dealt with terrorists, from the radical Quebec Separatist FLQ to the Sikh Extremist Babar Khalsa to Marc Lepine to Al Quaeda inspired Toronto 18 and finally the recent killers. This will likely continue. Perhaps now that the most historically privileged section in society has been targeted, the security apparatus will take the treat more seriously. And, this is needed. It is no longer a place that tourists from the Netherlands like Jan Lugtenborg, who was a bystander to the attack, can come and expect a quiet peaceful, incident free holiday. After, yesterday, one shouldn’t be surprised either. But, I do not agree with the refrain, which has been mouthed so often since the two attacks, ‘This changes everything!’ Good God, no! – This certainly does not change everything. Though, it should same change some things as any rational society reflects, ponders events, and comes to conclusions.